I finished the current project a little early, so to celebrate, I’m releasing the Fool’s Gold artwork a bit early. The art is the work of the incredibly talented and professional Catherine Dair. 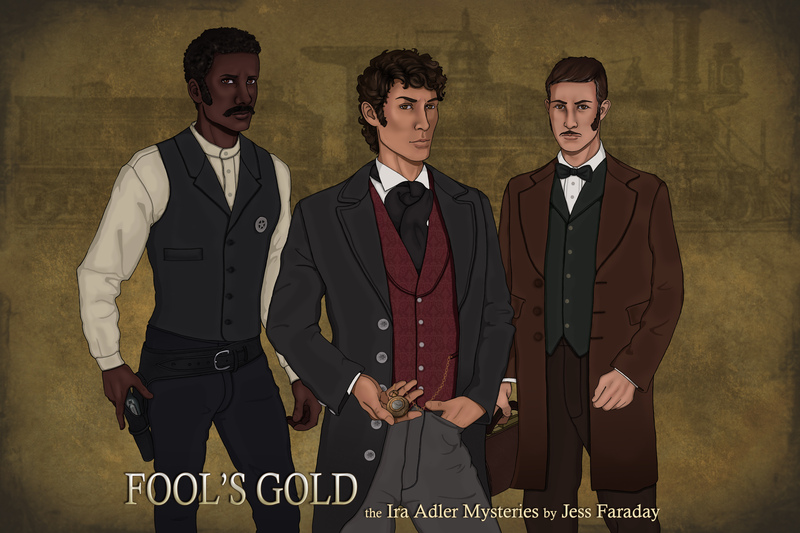 Behold, from left to right: Calvin Sutter, Ira Adler, and Tim Lazarus from Fool’s Gold, coming April 1, 2015 from Bold Strokes Books. Previous Post: What’s Up, Wednesday!